The 2019 study is said to be based on data from 277,575 consumer speedtests (the speeds presented are median values), which were conducted via Which?’s own broadband speed checker in the year to 30th September 2018. However it’s unclear whether the magazine has included or excluded mobile data (3G / 4G) and enterprise (business) lines from their study. Overall the study found that the top slowest local authority areas were the Scottish Orkney Islands (3Mbps), Allerdale (5.7Mbps) and the Shetland Islands (6.7Mbps). Meanwhile the fastest areas were named as Broxbourne (32.5Mbps), Crawley (32.3Mbps) and Newark & Sherwood (30Mbps). In response Which? says that consumers “face a lottery when it comes to broadband connectivity” and that “residents in 15 UK local authority” are “failing to access” a minimum speed of 10Mbps, which is the starting point for the Government’s forthcoming new Universal Service Obligation (USO) that is due to be begin later this year. NOTE: The industry funded 10Mbps USO will NOT be an automatic upgrade. You will have to request it from an ISP and it may take up to 12 months to be delivered. Happily Which? have correctly noted that the main problem is with how “many people were still not taking up the fastest service available in their area.” Ofcom’s latest Connected Nations 2018 report found that take-up of 30Mbps+ “superfast broadband” services stood at 45% (up from 38% in 2017 and 31% in 2016), but this is below the current national availability of such networks. At present the Government’s £1.6bn (public funding commitment) Broadband Delivery UK project has already helped to extend “superfast” broadband to more than 95% of UK premises and this could reach 98% by the end of 2020. We should point out that this is a national average and the figure will vary by area. Meanwhile the 10Mbps USO is intended to help the final c.2% of largely remote rural premises. 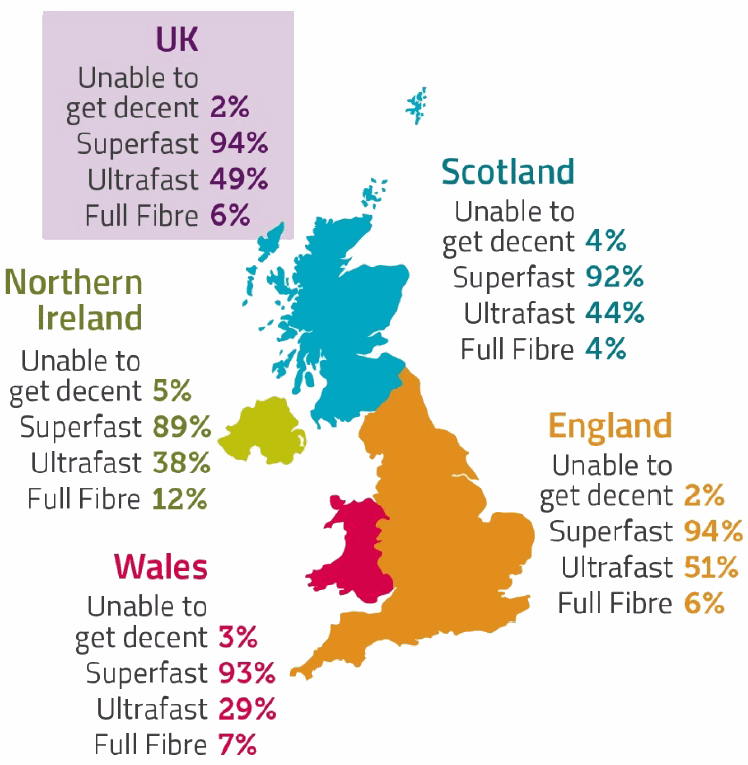 Clearly a lot of areas have a high availability of so-called “superfast broadband” and thus you might well expect their overall results to be better, but then not everybody chooses to upgrade. Indeed it usually takes several years of natural migration before the majority in any given area have adopted the new services. A number of factors can impact take-up in this way, such as the higher prices for related “fibre” services, as well as customers being locked into long contracts with their existing ISP (can’t upgrade yet) and a lack of general awareness (locals don’t always know that the faster service exists) or interest in the new connectivity (if you have a decent ADSL2+ speed and only basic needs then you might feel less inclined to upgrade). On top of that the speedtest themselves don’t tell the whole story, not least because they can be agressively affected by other factors like slow WiFi, local network congestion, local traffic management systems and software / configuration errors. In short, studies like this don’t accurately reflect the availability of faster networks. Take with a pinch of salt. The data used by Which? appears to be gathered from customer speed tests and therefore may not be fully representative of speeds available. 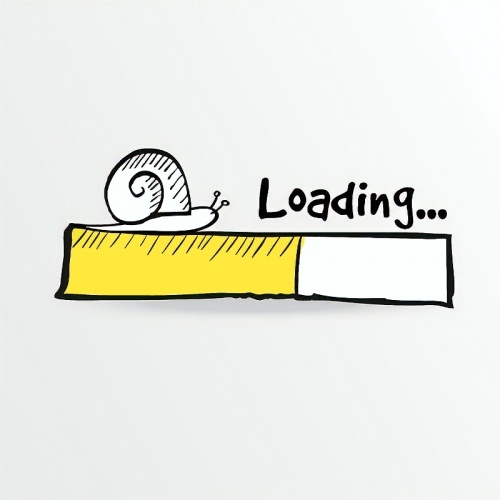 Ofcom’s Boost Your Broadband campaign can show where faster connections are already available should customers want them, including some of the areas mentioned in the report. Whilst some of this progress is highlighted by Which?, the report does indicate that there is still work to be done to ensure that no area in the UK is left behind. ISPA’s members are working hard to deliver quality broadband services to consumers across the UK, and are committed to rolling out the next generation of broadband infrastructure and services to those that need it. There are also a wide variety of new ISPs breaking into the industry to deliver new and innovative solutions. We’ve published the full results below and ordered the table by median (average) speed, starting from the fastest and going to the slowest at the bottom. For those who don’t know, the median is the middle point of a number set, in which half the numbers are above the median and half are below. As always, statistics can be used and interpreted in any way you want. The number of people providing results in each area varies widely and you have no idea what the max and min or average speeds are which add to the story. There is no reference to which package a respondent has, so some areas could have more respondents on faster packages than other area. I presume the results include the impact of the home environment which will skew the data. And finally, the demographic of readers of Which! needs to be taken into account compared to other methods of gathering data. What are Which! trying to achieve by publishing these results? “What are Which! trying to achieve by publishing these results?! I expect Which are trying to promote their brand, sell more subscriptions, and make more profit – just like most businesses. Improving broadband won’t be high on their list of priorities, it is just an issue that they know people will get worked up about that they can exploit. surveys like this are so idiotic. guess which are justifying their existence. It is so poor that it makes you wonder if all their other surveys are rubbish too. Which seems to have a problem producing anything sensible when it comes to broadband and are doing its subscribers a major disservice as a result. As you say, this does undermine the Which brand; the organisation would be well advised to outsource such activity to someone that knows what they’re talking about and can gather quality data like Andrew Ferguson. Although I have criticised the lack of broadband knowledge of Which? in the past I have to congratulate them on using the much more realistic median average rather than the median used by Ofcom and other services. There’s median and there’s mean. Ofcom use median. Would you prefer they use mean? If you would I’d hit the maths books again. Mean can be skewed by the two extremes as it’s the total of all the results in the sample divided by the number of participants, median is more representative as it is what the 50th percentile get. Sat/4G if no other option. You’ll get a quote, may need to contribute if the cost is excessive. Hardly a lottery at all. If you move to the Orkney Islands from say, Watford, you’d be pretty stupid to expect the same speed. Maybe not, at least if you listen to Which… Which (see what i did there) have some odd examples of what they feel is a rural and urban area. Quite how some areas which have more than one motorway leading into them and have telephone exchanges which serve 10’s of thousands are “RURAL” areas i guess they only know.